In 140 AD, two men - master and slave - venture beyond the edge of the known world on a dangerous and obsessive quest that will push them beyond the boundaries of loyalty and betrayal, friendship and hatred, deceit and heroism... 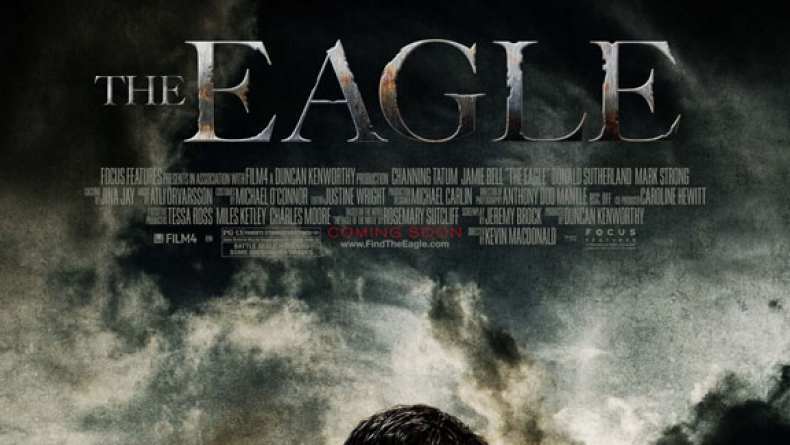 The Roman epic adventure The Eagle stars Channing Tatum and Jamie Bell and is directed by Academy Award winner Kevin Macdonald. 20 years earlier, Rome's 5,000-strong Ninth Legion, under the command of Flavius Aquila, marched north carrying their treasured golden Eagle emblem. They never returned; Legion and Eagle simply vanished into the mists. Hearing a rumor that the Eagle has been seen in a tribal temple in the far north, Flavius' son Marcus (Tatum), determined to restore the tarnished reputation of his father, is galvanized into action. Accompanied only by his slave Esca (Bell), Marcus sets out into the vast and dangerous highlands of Scotland - to confront its savage tribes, make peace with his father's memory, and retrieve the hallowed Eagle. Along the way Marcus realizes that the mystery of his father's disappearance may well be linked to the secret of his own slave's identity and loyalty - a secret all the more pressing when the two come face-to-face with the warriors of the fearsome Seal Prince (Tahar Rahim).